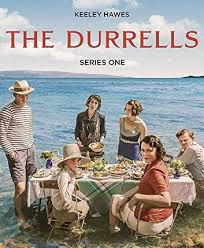 The Durrells (PBS) Rated PG | What to Watch. I loved this first episode. The only drawback was how spoiled and entitled the children were. They were quite disrespectful to their mother; she worked hard to provide for them, and they just took her for granted. However, it is a wonderful story of a down-on-her-luck woman moving to a new country and bringing life and joy back to her family. Don’t miss this show; it is worth a watch. This entry was posted in 2016, Based on a true story, Biography, British Films, Drama, Masterpiece, PBS, Rated PG, reviews, Tv shows and tagged 1935, Alexis Georgoulis, Anna Savva, based on the true story, Bournemouth, Callum Woodhouse, children, Corfu, country, Daisy Waterstone, England, episode, family, first, Gerald Durrell, Greek Island, Josh O'Connor, Keeley Hawes, life, Masterpiece, milo parker, mother, move, new, pbs, single, story, The Durrells, The Durrells in Corfu, trailer, TV series, Tv shows, woman, worth, Yorgos Karamihos. Bookmark the permalink. Pingback: New This Week on DVD, October 24, 2017 | What to Watch. Pingback: New This Week on DVD, October 16, 2018 | What to Watch. Pingback: Keeley Hawes | What to Watch. Pingback: New This Week on DVD, November 1, 2016 | What to Watch.